Barley yellow dwarf virus (BYDV) and cereal yellow dwarf virus (CYDV) are found damaging cereal crops worldwide. They infect wheat, barley, oats and grasses and are transmitted by aphids. These viruses are not seed-borne and persist from one growing season to the next in oversummering grasses. BYDV and CYDV infection decreases grain yield and also causes shrivelled grain. These viruses can cause serious problems in cereal crops in the southern and south-west agricultural areas (more than 500mm of rain). BYDV is often more prevalent than CYDV. BYDV and CYDV requires living plant tissue to survive and cannot survive in stubble or in the soil. Infection in the plant is restricted to the conducting tissue (phloem). However, these viruses differ in their ease of transmission by different vector aphid species and to some extent in the severity of the damage they cause in different cereal varieties. BYDV and CYDV survives the hot summer months mainly in perennial grasses that persist in roadside ditches or at the edges of creeks or rivers. However, grasses surviving in soaks or swamps and in irrigated pastures and gardens are also hosts. The four most important grass species acting as reservoirs for YDV are kikuyu grass, paspalum grass, couch grass and african lovegrass. Perennial grasses also harbour the aphid vectors over summer. 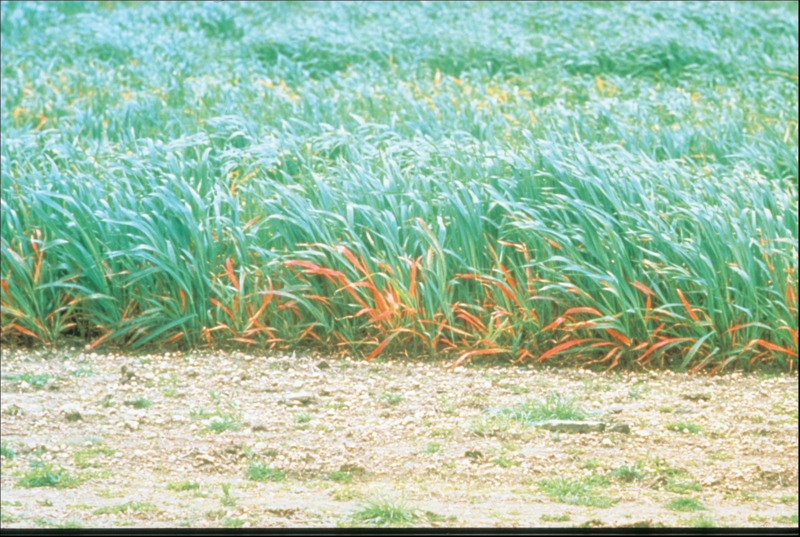 During the subsequent growing season flights of winged aphids from infected grasses then spread YDV to cereal crops. Aphids migrate into cereals mainly in autumn and spring, the extent of the autumn flight being particularly important because early infection can affect crop yields severely. Once an aphid acquires the virus after feeding from the phloem of an infected plant it will continue to transmit the virus to any plant it feeds from for its entire life. Virus is first introduced to the crop by winged aphids flying in from the outside. These aphids create primary foci of infection. Wingless progeny of the original winged aphids spread the disease further outwards from the primary infection foci. As a result patches of virus infection develop which gradually expand as the season progresses. Patches tend to first develop on the edge of the crop and are often seen in waterlogged areas. When the level of infection is high, patches merge, resulting in infection of the entire crop. The widespread epidemics are often a result of wet summers followed by mild winters. Wet summer conditions encouraged the summer growth of grasses, and this increased the carry-over of YDV and of aphids. Aphids building up on infected grasses in autumn spread the virus extensively to cereals. Also the mild winters favoured a big increase in cereal aphid populations within crops.